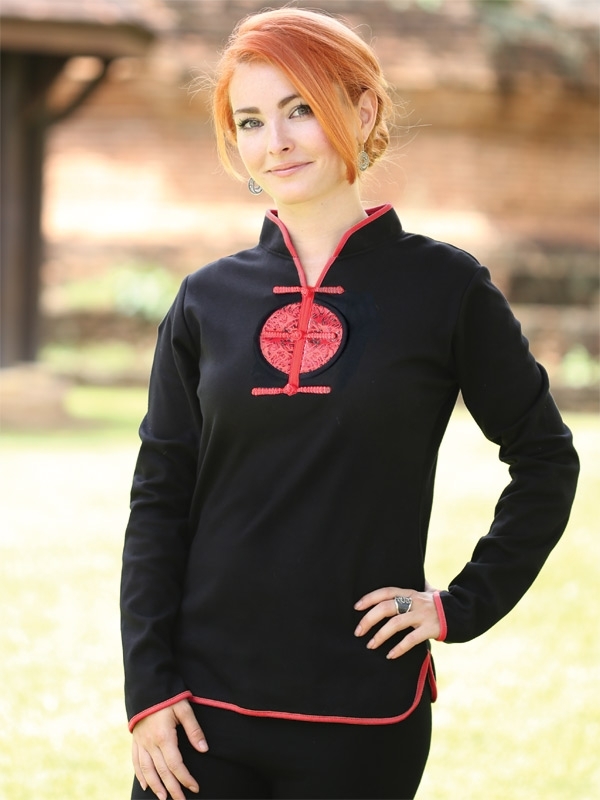 Fluted long sleeve cotton top with ‘lucky’ emblem on chest. Traditional mandarin collar and woven frog clasp buttons. Hand wash due to symbol swatch.